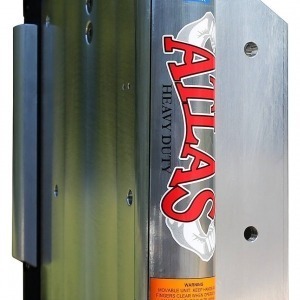 T-H Marine’s ATLAS hydraulic jack plate is truly the next generation in jack plate design, built for the heaviest and most powerful outboard engines on the market today, this model is specifically built to handle up to 350hp. The innovative high tech engineered polymer rod and slot lifting design guarantees trouble free action. 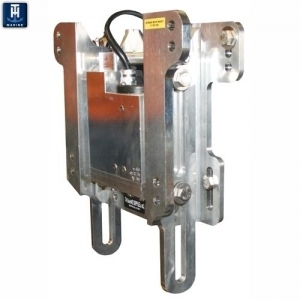 This plate also features the newest concept in one-piece hydraulics from the most respected name in hydraulic design, providing the best of all worlds: Speed and Self contained lifting action. This all new pump will lift the heaviest outboard from bottom to top in less than 8 seconds. Rod and Slot Lifting Design – Trouble Free Lifting Action. Lift Plate is just over 13 mm thick, aircraft alloy. The “HD” – HEAVY DUTY, version is rated for engines up to 400hp. See our other products. Freight for these units is priced individually, as they are too heavy for our on line calculator. Give me a ring on freight prices, anytime.